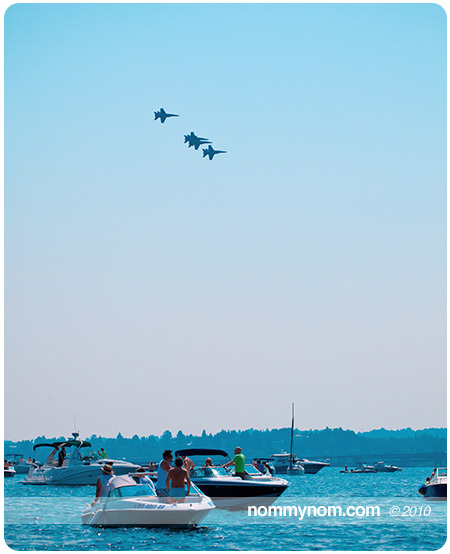 Yesterday I went out with my friend Cristie of ThirstQuest on her boat to enjoy a bit of pre-Seafair action to watch the Blue Angels practice over Lake Washington. 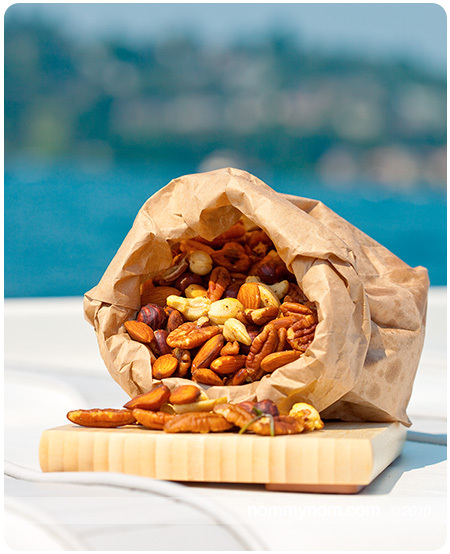 I wanted to bring along something for everyone on the boat to snack on that was portable, easy and delicious. Every other week we have friends over for a night of playing games and snacks. On our last gaming night I made up a batch of Herbed Mixed Nuts that were a big hit with everyone, so I thought… Hey, I’ll make another batch of those nuts! The big running joke ever since then has been “You’re gunna love my nuts” and really… everyone will love your nuts. These nuts are delicious and easy as pie to prepare. They are also an awesome portable snack and an extra bonus is that this recipe is gluten free and vegan friendly!! Make a big batch as they go fast! 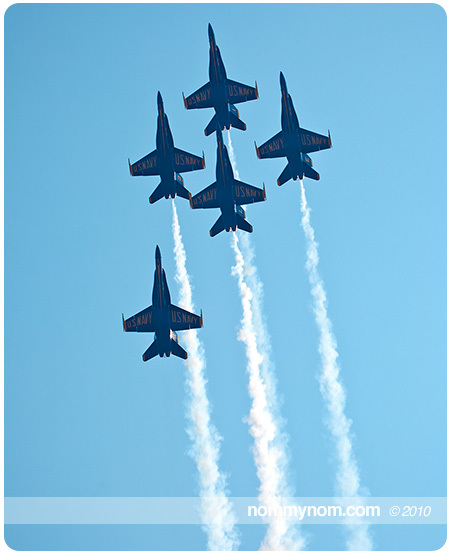 If you are interested in a drink that celebrates Seafair and the Blue Angels you really have to go check out ThirstQuest’s Seafair LemonBlueaid, so refreshing and a perfect pair with this recipe. 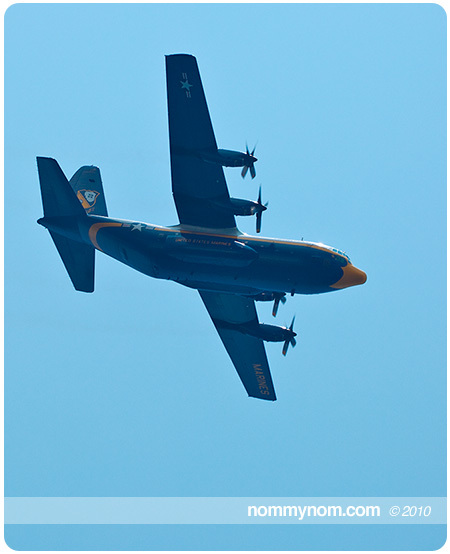 Just in time for your Seafair enjoyment, be safe out there and have a great time Seattle! Over medium heat add everything into a large frying pan, Toss to coat the nuts completely with the oil and spice mixture. Stirring constantly for about 7-10 minutes or just until the nuts are toasted. You will want to keep turning and stirring the nuts to prevent scorching or burning the nuts. Once they are done put them in a bowl or a simple brown paper bag and they are done. If you want to make them a little extra special you can shave a little Black Truffle over them while they are still warm. A good indicator that your nuts are ready are the cashews. Their light color will show you how far along the toasting process is. Keep in mind that even when you take the nuts off the heat they will continue to keep on toasting, so take them off when you achieve a very light toast. You will want to use RAW nuts for this recipe. You can find those at PCC Natural Markets and at other places like Trader Joes. 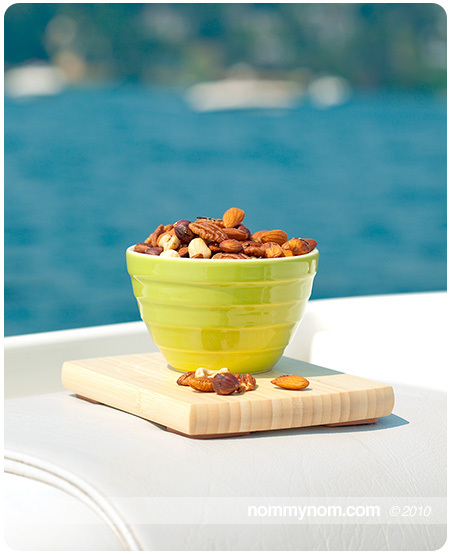 The reason for the Raw Nuts is already toasted nuts will taste bitter and burnt, Raw Nuts will yield sweet, crunchy and nutty bites that will keep your hands dipping back into the snack bowl or bag. 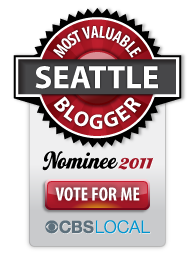 Full disclosure: I have received no compensation from Trader Joes, Blue Angels, Seafair or PCC Natural Markets for this article. This entry was posted in Gluten Free, Out & About, Recipes, Vegan & Vegetarian and tagged almond, cashew, easy, fast, food, gluten free, hazelnut, herb, mixed nuts, nuts, pecan, quick, recipe, rosemary, seafair, simple, snack, vegan, vegetarian. Bookmark the permalink. OOOOHHHH…those look great. That will replace my candied holiday nuts.